There's intimate when it comes to shows and then there is something special that I'm going to call hyper-intimacy that applies to last night's Crooked Fingers show at the Larimer Lounge in Denver. The hyper-intimacy in question occurred when Eric Bachmann stepped away from the mic and out onto the edge of the stage where he began playing a song, completely unplugged, with a cappella backing vocals by Liz Durrett. In that moment, this show, which was already epically great in its own right, took on a new level of excellence. We were all with the band. It became a sing-along, rather than a performance, or a conveyance of information from the artist to the audience. It turned into a group activity. 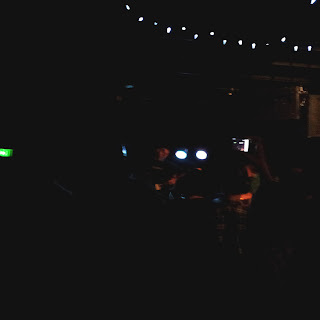 And in the Larimer's tiny, low-ceilinged, corridor style venue, the intimacy was additionally enhanced. The show covered, largely, Crooked Fingers' newest release Breaks In The Armor, and featured incredible album-quality performances. And Bachmann even went back to 2006's To The Races for a small handful of tracks too. What was so amazing, first and foremost, is that Eric Bachmann is one-hundred feet tall. That's hyperbole of course. No one is that tall. But Bachmann is probably more than six and one-half feet. 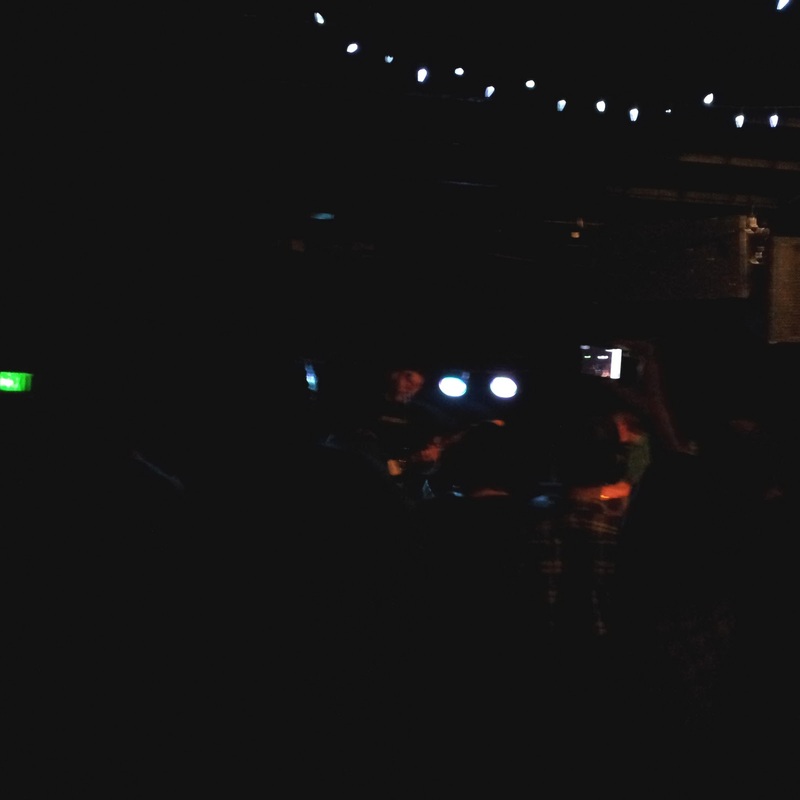 And it's that size, in tandem with the smallness of the Larimer that makes this show extra memorable. In total, opener Ian Cooke was great, though sidelined by a couple of looping issues and a cello that he claimed was his training, learners, kiddie cello that wouldn't stay in good tune. The second opener, too, was solid, but when Crooked Fingers took the stage, they literally, to use the old joke parlance, TOOK THE STAGE. This was a show that resonates with some incredible power and made a Tuesday night feel like a Friday or Saturday, packing the small house with fans and elevating the emotional feeling in the room to something similar to a stadium rock show. I can't, really, I can't say enough about how excellent this show was. And when Bachmann played "Man O' War" I very nearly started to cry. It was that good. Watch the video below and cry with me. And I apologize for the lack of photos, but some USB problems with Windows 7 is currently crippling my upload ability. Balls to that! UPDATE: Fixed, but the photo isn't very good. The center-set blob is E.B. Check it!